To be sure, Mr. Garner was a character with stories to relegate the crowd. 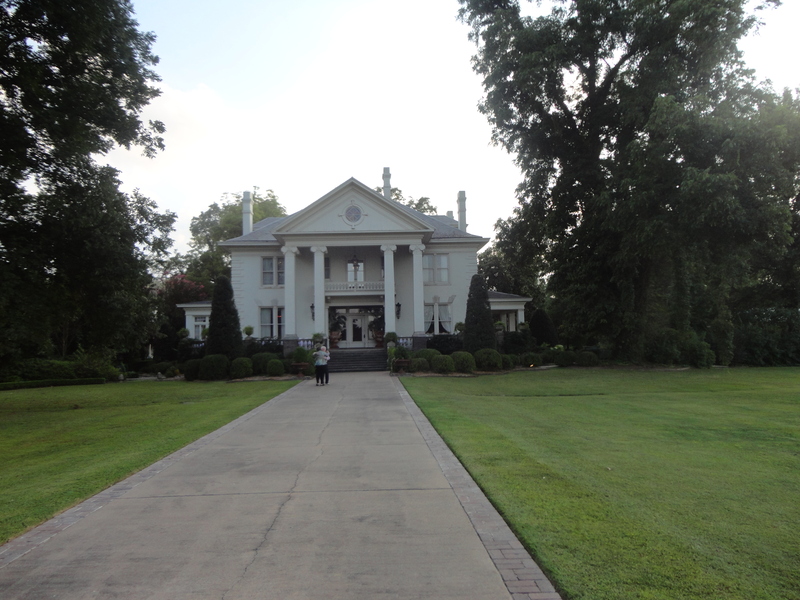 We were able to not only see every room in the storied plantation, but eat at the dining room table and enjoy the wonderful southern cooking and hospitality. We truly felt like part of the genteel members of society or maybe in all honesty like their poor relations that got to come and dine before heading back to home to our real lives. For an evening we were immersed in the charm that only the south can provide. To say the place is “pretty” is an understatement. We filled the entire first floor and flowed out onto the porch for our dining experience. If you get down Arkansas way, stop if you get a chance, it is another world!